Homemade dinner rolls are surprisingly easy, and the taste is far superior to anything from a store. 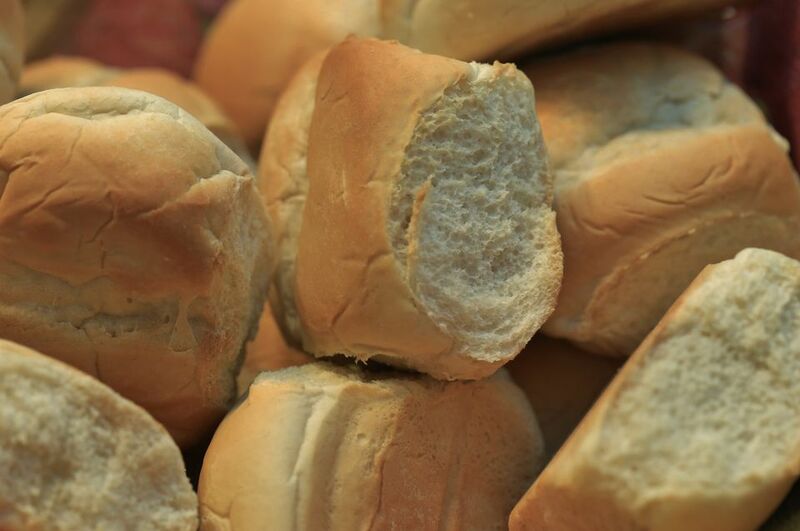 Few things make your kitchen smell as wonderful as fresh dinner rolls. Combine water and yeast in a large bowl. Whisk until dissolved, and set aside. Combine milk, butter, sugar, honey, and salt in another glass or plastic bowl. Microwave for one minute, or until milk is just warm. Set aside until butter is melted. Add the flour to the bowl containing the water and yeast, followed by the milk mixture. Stir until sticky dough forms. Turn dough out onto a well-floured work surface. Knead dough for about 6 minutes, adding enough flour, as needed to keep the dough from sticking to the surface, or your hands. Stop when you have a smooth, soft, elastic ball of dough. Grease a large bowl with oil. Place the dough into the bowl and turn over a few times so the dough is lightly oiled. Cover the bowl with a clean towel and leave to rise in warm spot until it doubles in size, about 1 1/2 hours. Punch down the dough, and turn it out onto a lightly floured surface. Shape into a square and cut into 16 equal-sized sections. Roll each piece into a ball. Line an 18" x 13" baking sheet with a silicon baking mat. Place each ball, seam side down, about 2 inches apart on the baking sheet (4 rows with 4 rolls each). Put some flour in a fine-mesh sieve and tap to dust the top of each roll with a little flour. This is optional but gives that classic dinner roll look. Set the pan in a warm spot and allow to rise for 40 minutes. The rolls can be slightly touching each other after they've risen. Bake on the center rack for about 25 minutes, until golden brown. Remove and let cool on a rack for 20 minutes before serving.